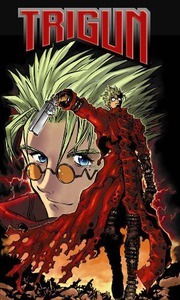 Vash is a nice guy, but everyone wants to kill him. An enigma of a man with a coat full of bullet holes, he's widely feared because of the destruction left in his wake. He's also highly valued for the price on his head. But he's no easy man to kill. Of course, that doesn't stop people from trying. What's his mission? Where's he from? Printed in original Japanese right-to-left format!